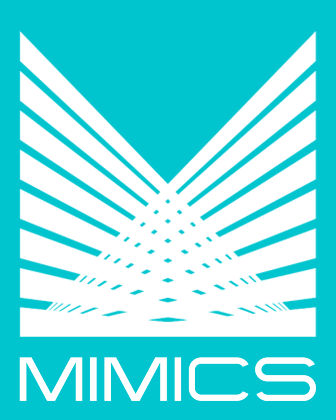 MIMICS Security Trading Software combines the functionality of the front and back offices. Trades start at the front office where the sales reps have visual access to their trade date and settlement date inventories based on the real time updates by the traders' purchases. Sales reps are instantly notified of positions that meet the interest criteria of their clients or prospects. The system will review both explicitly stated customer interests and trading history in order to determine the probability of a match to the company inventory. Fixed income securities, equities, mutual funds, mortgage backed securities, and derivatives can be traded. An integrated MIMICS Money Desk System is available for cash management offerings to the customer. The system provides tools to the front office to assist in the sales process. A pop-up calculator and an integrated MIMICS CRM System are a few of the important tools necessary to effectively run a front office operation. Customer portfolios can also be managed and reported to the customer. In addition to purchases, sales, short sales, and short covering, you can report accruals, accretion, and amortization. If the customer wants to think about your offer before committing to the deal, save your quotes made using the Investment Calculator Plus. When you contact your customer again, retrieve the quote you saved, change it if necessary, then activate the trade. Run all of your trading calculations in this window on your computer. The Investment Calculator Plus allows full screen view of calculation parameters and resultant price, yield, future value, and other financial results. The trading inventory can be viewed in real time and trades can be initiated directly from the trading screen. The system will prompt sales reps regarding potential securities that match their customers' investment criteria. The Front Office features assist the trader and sales rep in the trade execution. Search the current inventory for the trade you want or let the system automatically choose it. The system automatically assigns trades by FIFO or you can search the inventory to make your own decisions. For preparing confirmations, the system maintains the list of sales reps, delivery instructions, payment instructions and customer demographic data. The payment and delivery instructions are user-defined. The default instructions for customers can be overridden by the use of another "standard" instruction or by typing in a unique instruction. As the trade is completed, sales commissions are calculated and commission reports can be printed later for the individual sales reps or for the sales team. All of the back office processing is handled including full accounting for all transactions along with any fails. Confirmations are printed to your specifications and mail-merge options are available for other forms. The system has a control point for the back office to accept the trade. In every other way, the transaction is automatic. Sales and short sales of securities are entered as they occur. The system is Security driven so when the CUSIP or ISN number and its associated information (e.g., description, rate, maturity date, etc.) are entered once, they remain on file. Therefore, every time the same Security ID number is entered, the security information will be displayed automatically. When a purchase is entered it goes into inventory, only to be reduced by sales or maturity. When selling a security, the system will display the remaining inventory for the appropriate CUSIP number allowing the operator to select which purchase is to be sold. This allows the user to determine which costing method, e.g., FIFO, LIFO, etc., is to be used. At the time of entering the purchases, reoffering prices can be entered for printing on the inventory reports. Sales reps can then know the current pricing. After the trades are entered, they may be delivered or received in various ways on the appropriate date. Payments are also entered. The system will allow for full or partial payments. Payments that are close enough can have the difference washed. If securities are not delivered by settlement date, the system will report this information on the Fails Report. The securities can be repriced individually or by using a security pricing service. You can then select to print the Mark to Market report. All of the information regarding purchases, sales, payments and deliveries are recorded on the Customer Activity Records and can be printed in Customer Statement form. This information is also recorded on the Security Activity Records (Security Position Records) needed for compliance. Information from the above procedures will determine the accounting entries and will print on the Settlement Date blotter and the Settlement Date Inventory Report. Reporting is designed for full compliance. The entries can be passed directly to your GL and/or DDA system. There is an optional report writer to generate whatever reports you want in minutes. IRS 1099 and other sovereign tax information are maintained. Forms can be printed for customers and tax information can be magnetically or electronically sent to the taxing agency. Every transaction that takes place is added to the Audit File with a time and date stamp. The audit trail identifies the user making the update. In addition, every transaction is added to the History File. The history is available to you for printing, displaying or exporting. You can easily print reports for management or for your own use. Equally as easy is displaying information on the screen. You can report information from the History File to databases, spreadsheets or word processors.